Firstly The Hills in Queenstown, New Zealand is not cheap. At $500 for a round- it’s more than some people pay for a year of golf. 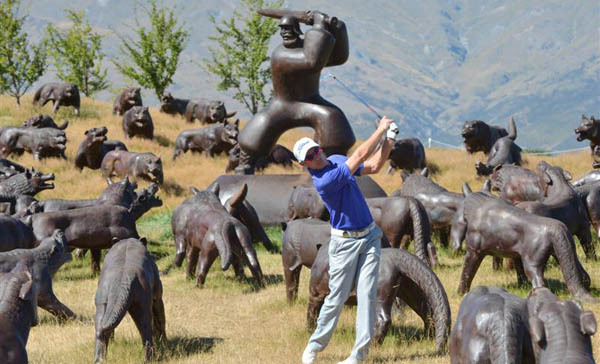 And because ‘Mirror’ and ‘Fade’ were guests at this year’s NZPGA- we weren’t paying anyway. However, if I did have a lazy $500 and I was a golf tragic- I’d say it was well worth it. Are the Pros really better than Amateurs? 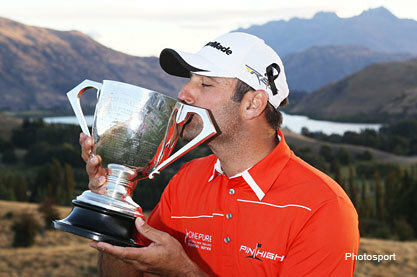 Feb 2013 and Mirror and Fade we’re ‘official media’ at the NZ PGA. We were there for the week of the tournament and 3 other programmes for our TV show on One, which we are frantically editing as we speak.